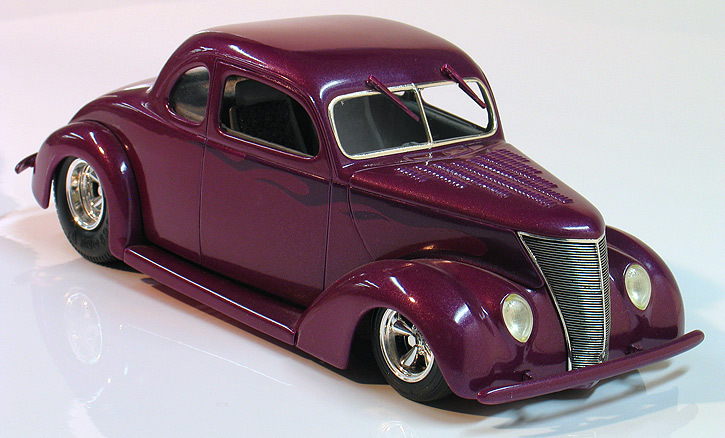 This '37 Ford 5-window coupe street rod was built by adding a resin coupe body from R&R Vacuum craft to the Revell 1937 Ford sedan model car kit. The casting was fairly rough and needed a lot of cleanup but the price was cheap. Custom mods include molding in the headlights for a flush look and making my own custom tailights. 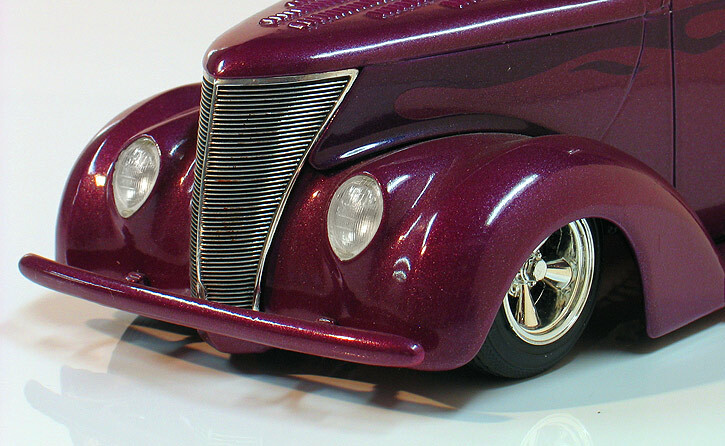 The paint is Testor's Boyd Colors in metallic purple with ghost flames.